As announced on the 400th episode of DGS, MOB will be holding a live tour in 2015! The tour will have stops in Kobe and Makuhari. Both performances will be two-day lives. A serial number for an advanced lottery will be included with their debut mini album which will be released on Wednesday. Serial code to apply for the advanced lottery will be included with MOB’s major debut mini album, “Masochistic Over Beat” which will be released December 10. The application period is December 20, 2015 (Wed) 12:00 until January 19, 2015 (Mon) 23:59. Each serial code can apply for up to 2 tickets per show for a total of 8 tickets. IDs will be checked at the venue. The following documents are valid for identification: Driver’s license, school ID, health insurance card, passport, citizen identification card, pension book. Expired documents and photocopies are not valid. It was announced at today’s Dear Boy Matsuri event that the second DGS movie, titled ACE OF ASIA, will hit theaters on February 15, 2014! 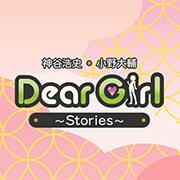 A few months ago there were sightings of Kamiya, OnoD, and the rest of the DGS crew in Hong Kong. Well, now we know what they were doing there! The theme song will be sung by MASOCHISTIC ONO BAND and they’ve got a new PV. The venue capacity is about 1000 people. The ticket lottery will begin September 9 at 6PM via the AnimeloMix mobile website. Live viewing details will be announced at a later date.